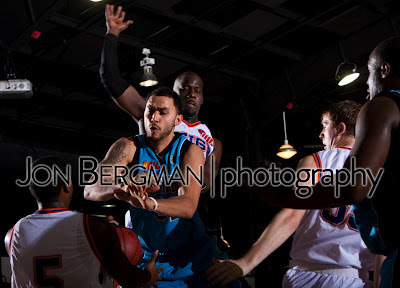 The Bellingham Slam opened the 2012 International Basketball League season against the Olympia Reign at the Skookum Events Center in the Little Creek Casino Resort Friday April, 20th. The beautiful new court was the perfect stage for both teams to showcase their talents. The Reign set a fast-pace with 11 steals leading to to 20 points. The Reign aggressive defense also lead to 34 points for the Slam from the free-throw line, keeping Bellingham in the lead the majority of the night. Morris Anderson lead all scores with 28 points, propelling the Slam to their first victory of the season. Final score 133-104. Click here to view photos of the game.